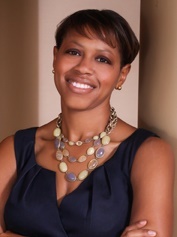 Roxann Smithers is a Founder and Managing Member of Smithers + Ume-Nwagbo, LLC. Roxann has a passion for working with entrepreneurs and small business owners. Roxann’s practice includes commercial litigation, premise liability, construction, contract review/negotiation, and general counsel services, in various state/federal jurisdictions. A Super Lawyers Magazine 2012, 2014-2016 Georgia Rising Star, Roxann Smithers and S+U team with the Access to Capital for Entrepreneurs, SBA, and Club E Atlanta to educate entrepreneurs.